Kyooji Temple is a small Nicheren temple off the Yanaka Ginza shopping lane in the Yanaka (Yanesen) district of Tokyo. The temple dates from the Edo Period and contains a statue of Daitokuten, one of the Seven Lucky Gods (shichifukujin). The statue is said to have been carved by Nichiren (1222-1282) himself though this is, probably, unlikely. The main gate still has bullet holes from the Battle of Ueno in 1868 during the Boshin War when supporters of the Tokugawa shogunate were driven out of Edo by imperial troops. 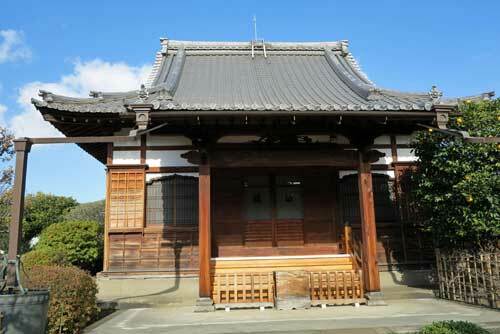 Kyooji Temple is a short walk from Nippori Station on the Yamanote Line.